If you are curious to know if contacts or refractive surgery might work for you, Dr. Willis and staff can answer your questions during your eye examination. If you decide to pursue one of these options, we will schedule a special appointment to take measurements and rule out contraindications. 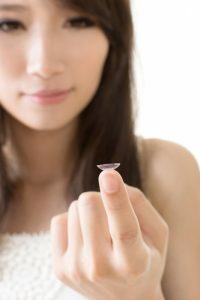 Dr. Willis believes that professionally-fit contact lenses should be a pleasure to wear with no eye health compromise. During scheduled follow-up visits, she will check very carefully for subtle problems on the delicate eye surface which arise when contact lenses are not functioning properly. With their boundless energy and endless activities, kids can really appreciate the benefits of contact lenses. But young wearers are often so highly motivated to wear their contact lenses that they may tolerate problems without complaint. To ensure a lifetime of successful wear, Dr. Willis offers frequent eye-health checkups and friendly encouragement to motivate your teenager to stick with important wear-time limitations and care regimens. Are you are already wearing contact lenses, but wonder if your comfort or vision could be better? 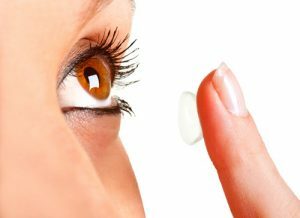 Nagging symptoms such as redness, dryness, blur or inadequate wearing time really take the joy out of wearing contact lenses. Sometimes problems arise when the contact lenses are not the best match for your eyes, vision, work environment or wearing needs. Why suffer unnecessarily? A contact lens assessment with Dr. Willis may make a world of difference. Dr. Willis will coordinate and support the plan for your laser surgery and post-operative care so that you get the best possible results. In the years following your surgery, she will monitor your vision and eye health to be sure that your vision remains optimal. It is not uncommon to require a small laser refinement as time passes, and during your visits, Dr. Willis will test for small changes that signal if and when this may be necessary.